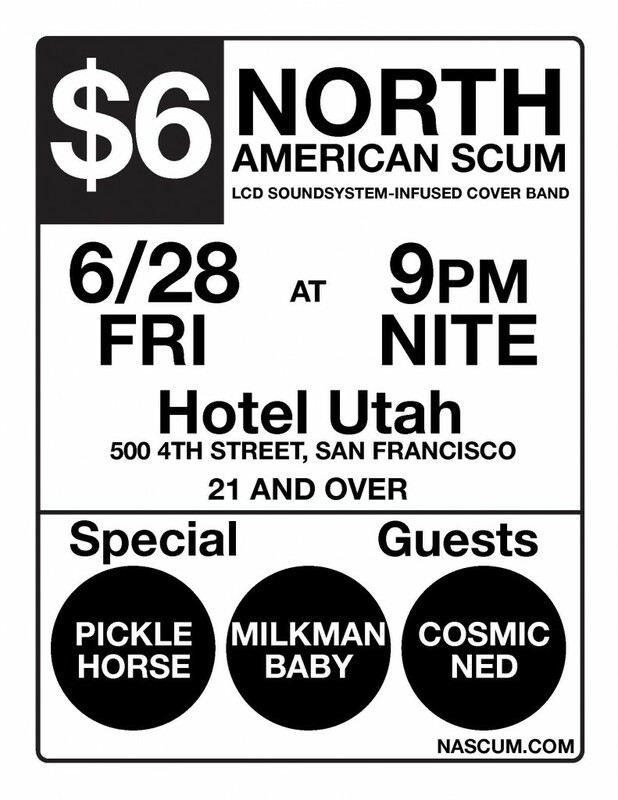 We’re playing at the world famous Hotel Utah in San Francisco. Come watch us play and have a few drinks and enjoy food. Yeah, they make food. It’s pretty good. We’ll be playing with our friends Pickle Horse, Milkman Baby, and Cosmic Ned. $6 at the door or online.